Music in feature film (i.e. Fruitvale Station, War, Inc.) and TV i.e. New Girl Girls The Weather Channel et.al.. 18 international releases (See iTunes) jazz, blues, smooth jazz, fusion, Latin, and more. Has performed his guitar live with, recorded, or as a sideman to: Michael Paulo, Scott Wilkie, Carl Evans Jr. (Fattburger), Will Lee, Randy Brecker, Joel Rosenblatt, Kevin Flournoy, Greg Vail, J Michael Verta, Hollis Gentry III, Duncan Moore, Kamau Kenyatta, Nathan Brown, Darryl Williams, Mark Hunter, Kevin Koch, and many more! 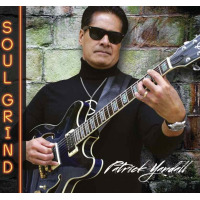 Latest release Soul Grind on Innervision Records. Reached top 50 national charts and top 10 indie charts. Reached #5 on Music Choice Smooth jazz. Top seller at amazon.com. Receiving worldwide airplay. Endorsed by Seymour Duncan, Levys Leather, and Elixir Strings, Levy's Leathers Ltd., Custom Tones Inc..
Fender Stratocaster Custom with Seymour Duncans and Roland Pickup. The Ethos pedal by Custom Tones Inc., Endorsed by Levys Leathers, Elixir Strings, Tech21, Seymour Duncan. Use Tech 21 Distortion Classic and RVB. Roland GR33, Boss Delay, TC Chorus, Fulltone OCD and Dunlop Wahs. Recording with Logic by Apple! “We got it daddy! !And yes we shall spin the heck out of it!! !” The jazzkelley Jeff Kelley P.D. KTSU Houston!!!! All About Jazz musician pages are maintained by musicians, publicists and trusted members like you. Interested? 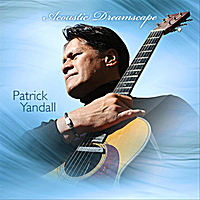 Tell us why you would like to improve the Patrick Yandall musician page.